What Are Mobile Phlebotomy Services? A phlebotomist is a person who has received special training in drawing blood from the circulatory system of a person. This can either be done in a hospital or clinic setting or in a home, office or school setting. If you've ever wondered how blood samples are collected outside a hospital setting, then that's exactly where mobile phlebotomy services come into play. Mobile phlebotomy services are used when an individual needs his blood sample taken, but he or she cannot make it to a hospital. The phlebotomist takes the initiative to pay a house call to the person, draws the blood sample and transports it back to the laboratory for analysis. In essence, if a person cannot make it to the phlebotomist, the phlebotomist goes to the person. Why Use Mobile Phlebotomy Services? There are several people who benefit from mobile phlebotomy. This includes people who are restricted to the home, for instance the elderly, those who are physically challenged or those who have severe illnesses. People in the latter group include those with pulmonary oedema or those with severe iron deficiency. Mobile phlebotomy services come in handy for places like nursing homes or care centers which may find it difficult to get people to hospitals for blood tests. Individuals who need regular blood testing, like diabetics or cancer patients, may find frequent hospital visits tiresome and would call for a mobile phlebotomist. There are also individuals who have busy schedules, those who have trouble getting transport to hospitals or those who simply want a specimen collected in the privacy of their homes. All these would benefit from mobile phlebotomy. What Do Mobile Phlebotomists Do? Collecting of blood samples from individuals. This has to be carefully done in a hygienic environment and all equipment used has to be sterile. Identification and labeling of the samples collected. Care should be taken not to confuse labels so that the results derived will belong to the correct individuals. Appropriate records should be kept indicating the identity of the individual, the tests done and samples collected. Transporting the samples to a laboratory for analysis. Again the samples should be hygienically transported with the utmost care being taken to avoid any contamination so that the validity of the tests is upheld. Collection and transportation of other specimen apart from blood e.g. urine or stool samples. Sometimes, mobile phlebotomists may perform onsite tests including checking the blood pressure, electrolyte testing, cholesterol testing, testing of blood sugar levels and creatine testing. In some cases, these do not have to be done in a hospital. Mobile phlebotomists have to ensure that professionalism is maintained throughout the procedure. Protective equipment must be used to protect themselves, the individuals and the specimen. The equipment must be properly maintained as well. They should ensure that they provide age and culturally appropriate service to their clients. There are some advantages to receiving mobile phlebotomy services. This includes the fact that they are convenient and affordable and they offer a high degree of privacy to their clients. How Long Is Phlebotomy Training? What Certifications Are Used For Higher Pay For Phlebotomists? 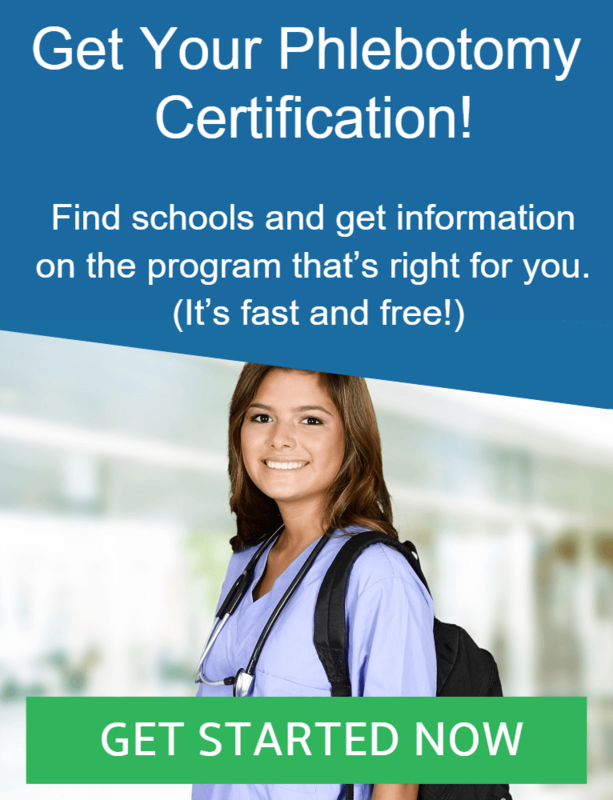 What Is ASCP Phlebotomy Certification? How Many Ounces Are In A Vial Of Blood? © 2011-2019 Phlebotomy Coach. All rights reserved.